A critter I invented around 2-3 years ago, and only ever drew once. I was fond of the general design, and now that I'm much improved in my art (I think at least! ), I figured I'd give him a redraw. The second file is the old version. Harrowraiths are creatures that live in ancient, natural places. They're kind of like cat dragons? 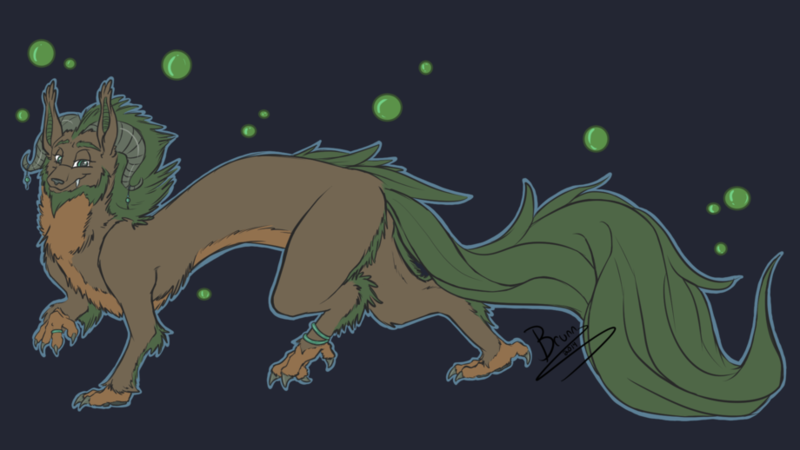 They tend to attract little nature spirits, and that's what's floating all around them. I like this creature species!